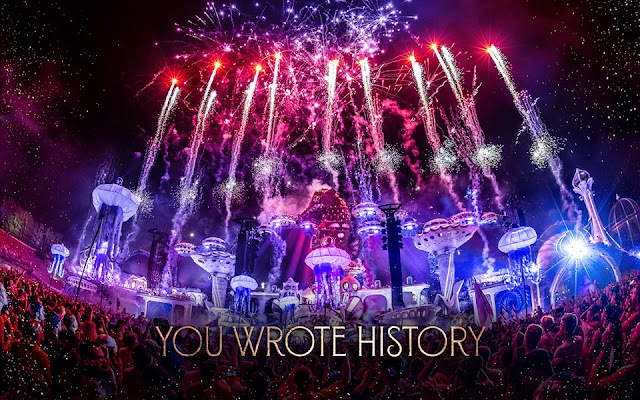 Tomorrowland 2018 The Story of Planaxis that took place in Boom for two weekend in July 2018 was definitely the very best version of this legendary festival. The wonderful subliminal or explicit messages about our unity with mother earth that prevail each year, the design of the mouthwatering stages from super hi-tech to minimal and underground and the superb marriage of stunning exterior and interior decoration, lighting effects, amazing pyrotechnics and most importantly wonderful sound has delivered an unforgettable experience that for sure will be considered as life changing for many and finally we should separately mention the stunning performances from all the DJs from the superstars to wanna be superstars were just incredible. It's fantastic to see so much diversity in the mainstage with all party artists to more deeper and sensual definitely makes the mainstage more inclusive and supports the exposure of more underground sounds to a more mainstream younger audience. The line-up of the rest of the stages embraced wide variety of sounds and represented well the state of electronic music scene with all the music subgenres being present. The online streaming of 4 stages was definitely a big plus for the world to experience uncut the full festival. Of course that is my impression as viewer of the festival online, I was not present to see it on the ground so I don't know how the people who were there have perceived it but from their smiling faces and sparkling eyes I can surely understand that this was for them something truly special. There will always be complaints but can you find any event that involves 400.000 visitors without any small problems or mistakes? Even the weather was very supportive with bright sunny days during the 2 weekends. If we consider that Belgium is one of the countries that have been wounded by terrorism the last years we can definitely all see Tomorrowland as the message that Belgium sends all over the world. It seems to me that Tomorrowland heart will always be right there in the valley of hope, dreams and endless La La La in Boom. Congratulations to the whole crew who have worked so hard, the local people at Boom, the technicians, the performers, the stage builders, the promotion team with my beloved Debbie. The end result is definitely a moment that makes everybody super proud of it. Tomorrowland is a concept that can diversify in many different surprising ways so we ain't see nothing yet! Well done Tomorrowland!